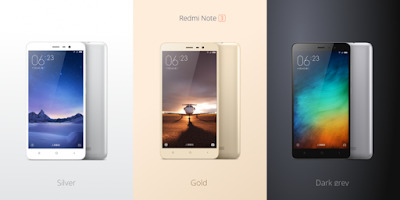 Xiaomi today has just took the wraps off the new Redmi Note 3 in China. The Redmi Note 3 is the successor to the three months old plastic-made Redmi Note 2. 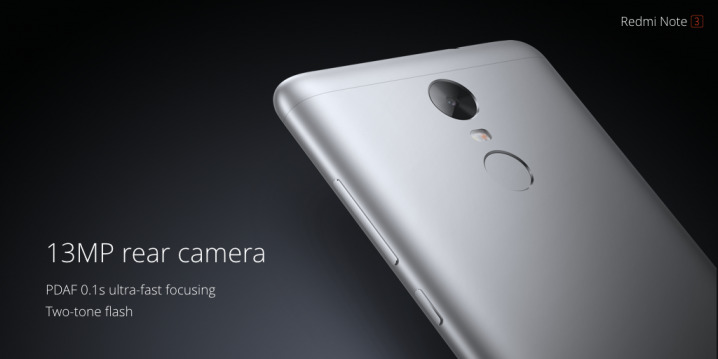 The new Redmi Note 3 is the Chinese company's first all metal smartphone as well as first to equipped with a fingerprint reader. The Redmi Note 3 features an aluminium unibody design with 120-point ultra-fine double side sandblasting and curved edges. 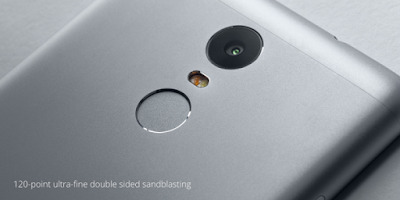 The fingerprint scanner is located at the rear of the phone and placed below the camera sensor. According to Xiaomi, the fingerprint sensor is fast and able to unlocks the device in just 0.3 seconds. When it comes to camera, it has a 13 MP rear camera with phase detection autofocus (PDAF) and 0.1 seconds ultra-fast focusing. Up front, there's a 5 MP camera. 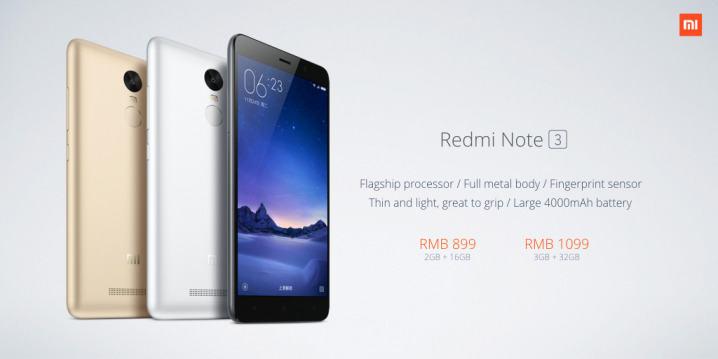 On the other hand, the Redmi Note 3 is packed with a generous 4,000 mAh battery. The device is 8.65 mm thick and weighs 165 grams; it's only 0.4 mm thicker and 4 grams heavier than its predecessor; despite the Redmi Note 3 has a full metal body and a much larger battery. Other specs included a 5.5-inch 1080p display, MediaTek Helio X10 Octa-core 2.0 GHz processor paired with 2 GB RAM and 16 GB storage or 3 GB RAM and 32 GB storage depending on the version, dual-tone LED flash, 4G dual-SIM and runs on MIUI 7 our of the box. 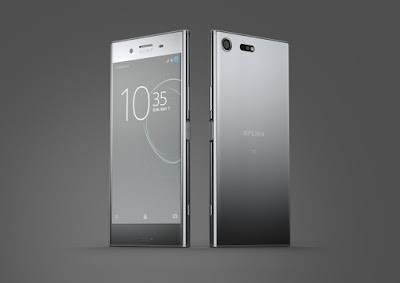 Now for the most important part - the retail price: the new smartphone will cost you CNY899 (about RM595) for the 2 GB RAM/16 GB storage model and CNY1,099 (about RM727) for the 3 GB/32 GB model. 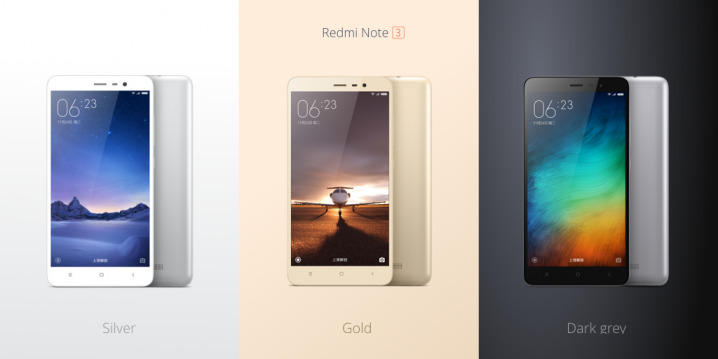 The Redmi Note 3 will be available in Silver, Gold and Dark Grey. It will go on sale in China on November 27. 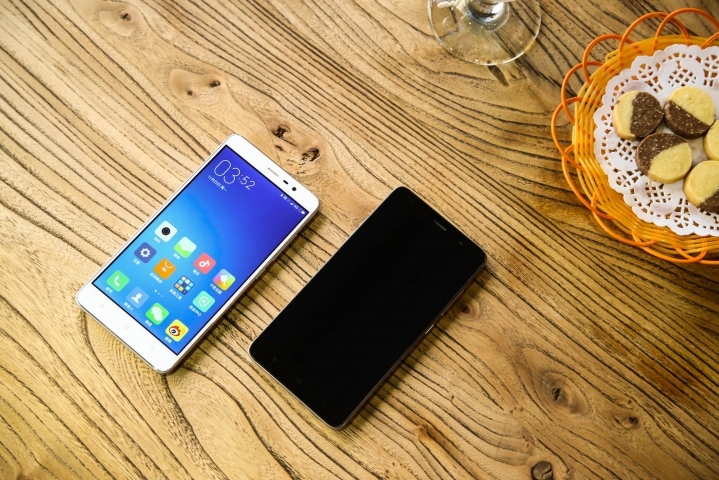 UPDATE: Redmi Note 3 Snapdragon variant announced: Qualcomm Snapdragon 650 1.8 GHz Hexa-core chipset and an upgraded 16 MP rear camera.